The UK is currently in the midst of a housing crisis of historical significance. 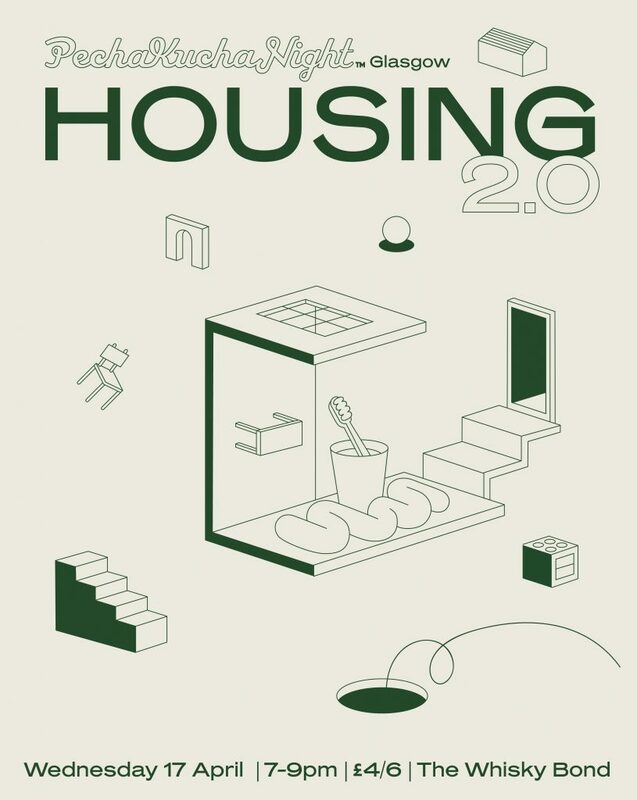 In a recent report, it was revealed that 30 million new social homes will be needed in the next 20 years, and not just for those in the most need, but also for those ‘trapped’ in the growing private rent sector, both young and old. Despite the lack of affordable housing, property continues to dominate the economy as one of the most profit-driven commodities on the market, as swathes of development schemes dedicated solely to private property continue to re-shape urban centres. Increasing populations, sprawling urban centres and new challenges posed by climate breakdown also create the need for innovative approaches to domestic architecture that can adapt to changing needs. In this Pecha Kucha talks event, we will hear from architects & designers, housing activists and council representatives to ask, what, within the context of Scotland and the rest of the UK is possible? What works and why, and how do we learn from other places, recognising the specificity of our financial systems, legal jurisdiction, and cultural limitations? Is it possible to re-imagine the typology, technology and semiotics of the home to create a more sustainable, habitable future? Tickets £4 / £6 available here.